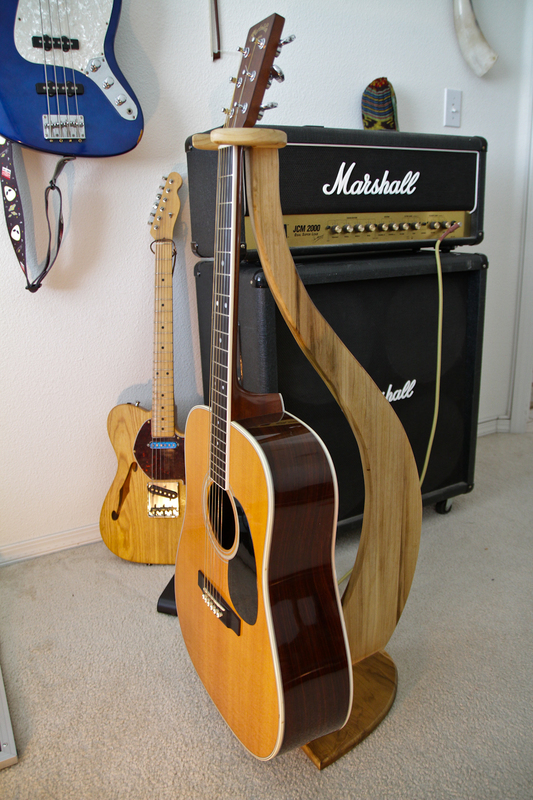 Simple and elegant guitar stand that can be made from a variety of woods. The ones pictured are made from poplar and walnut and really showcase the color and grain in these species. 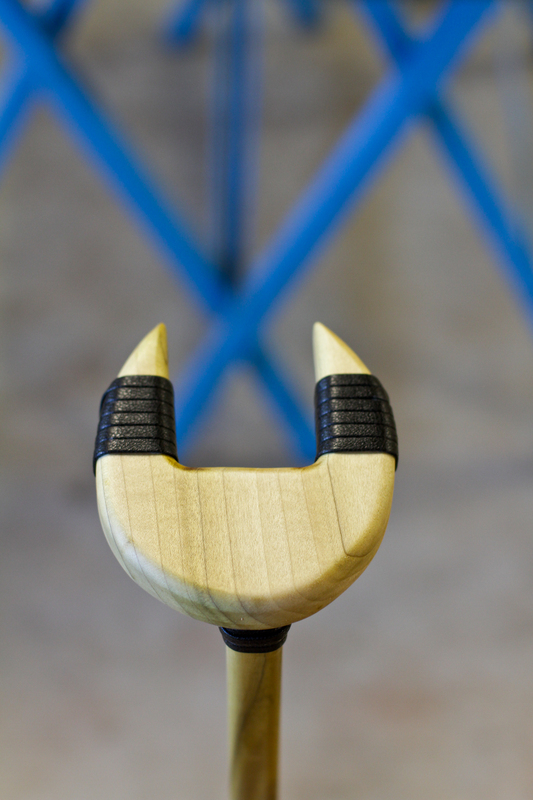 The stand is a hanging stand, as the guitar hangs from the headstock, and is wrapped to protect the finish of your guitar. It is built to hold a standard size electric or acoustic guitar, but can be custom made for larger instruments like bass guitars.